On this page you can consult informations about distances and roadmaps from Emerald Airport to major cities and places in Australia. Guests at Mayfair Motel can take a dip in the resort style pool. There are barbecue facilities and an on-site a la carte restaurant called the Charhouse Bar & Grill. This hotel is 1.59 km from city center. 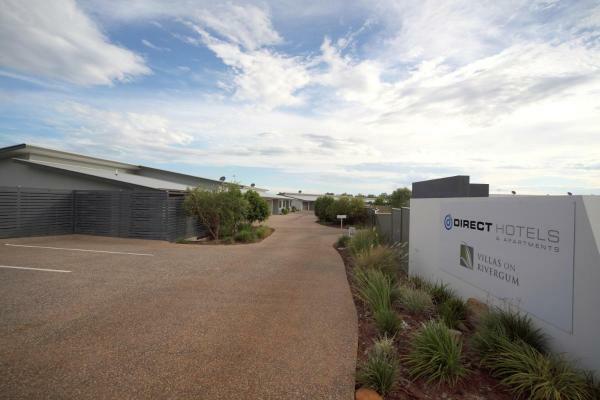 Just an 8-minute drive from the heart of Emerald, Direct Hotels - Villas on Rivergum offers self-contained apartments. All accommodation offers a fully equipped kitchen, garden views and a patio. Free WiFi is provided. This hotel is 3.10 km from city center. Just a 5-minute drive from the heart of Emerald, Emerald Explorers Inn offers an outdoor saltwater pool, a free shuttle bus and an onsite bar and restaurant. All rooms feature a flat-screen TV with cable channels. This hotel is 2.96 km from city center. 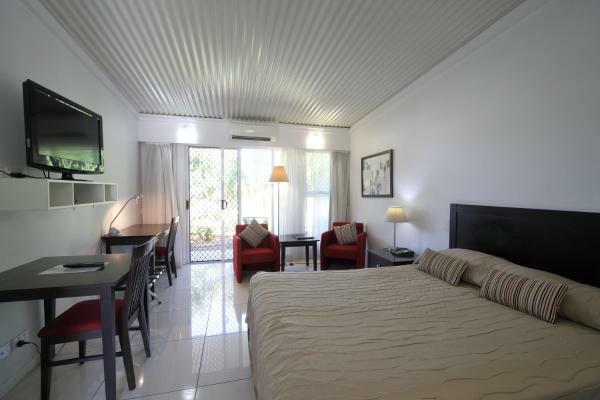 Enjoy free Wi-Fi and accommodation with a flat-screen TV and a coffee machine at Abode37 Motel Emerald. It is located 3 minutes’ walk from the centre of town and offers free undercover parking. This hotel is 4.58 km from city center. Located in the heart of Emerald, Route 66 Motor Inn offers free WiFi, an outdoor pool and an onsite bar.. All guest rooms feature a fridge and a lounge area with a satellite flat-screen TV. This hotel is 4.60 km from city center. 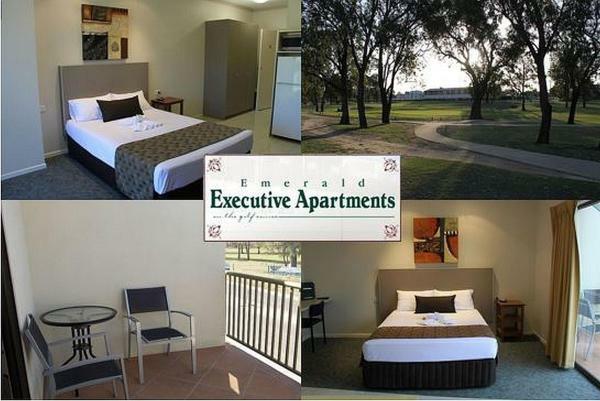 Offering studios with a balcony, free WiFi and a flat-screen TV, Emerald Executive Apartments is situated opposite the Emerald Golf Club. It is 5 minutes' walk from the Botanical Gardens. This hotel is 4.65 km from city center. 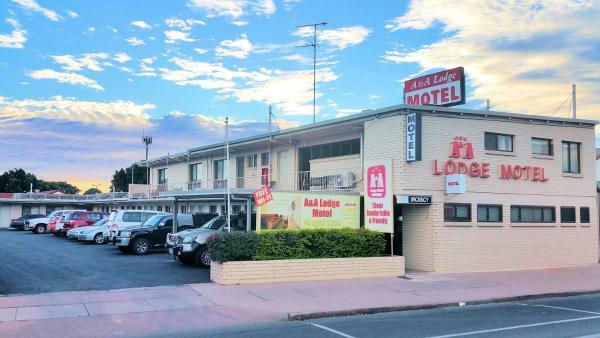 Located in the heart of Emerald, A&A Lodge Motel offers guest rooms with a satellite TV. All air-conditioned rooms offer a desk, fridge and tea and coffee making facilities. Free WiFi is provided. This hotel is 4.84 km from city center. Located in the town centre, Emerald Central Hotel offers a swimming pool, a bar and a restaurant. The hotel is 5 minutes’ walk from the Emerald Botanic Gardens. Guest can enjoy free WiFi. This hotel is 4.80 km from city center. 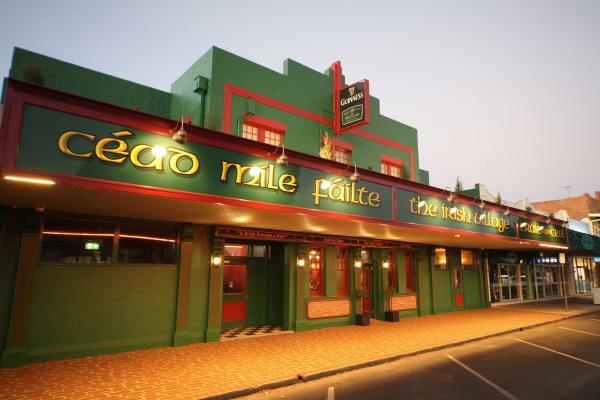 Located across the road from the historic Emerald Railway Station, The Irish Village offers rooms with a flat-screen TV. Guests enjoy free on-site parking, a restaurant and a bar offering live music and karaoke. This hotel is 4.98 km from city center. 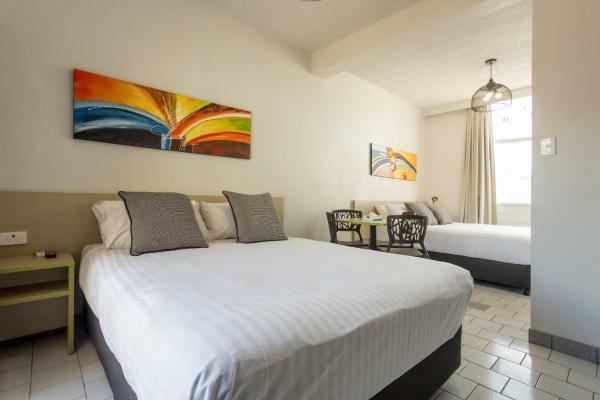 Featuring an onsite bar and free WiFi in public areas, Emerald Star Hotel offers accommodation in Emerald. Limited free parking is available on site. Every room at this hotel is air conditioned and is fitted with a 40-inch Smart flat-screen TV. This hotel is 5.01 km from city center. 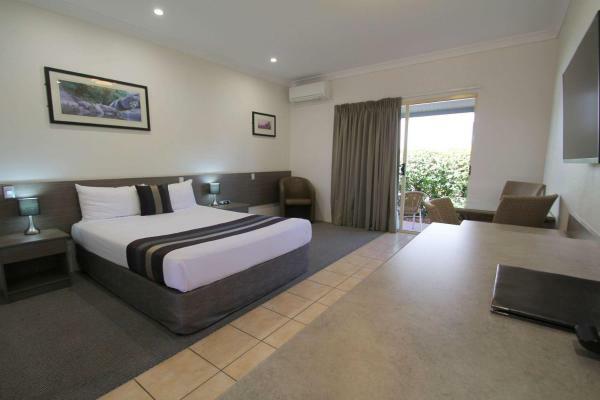 Emerald Park Motel is situated directly across the Central Highlands Visitor Information Centre and within 5 minutes' walk from the Emerald Showgrounds and restaurants, cafes, and fast food stores. This hotel is 5.31 km from city center. 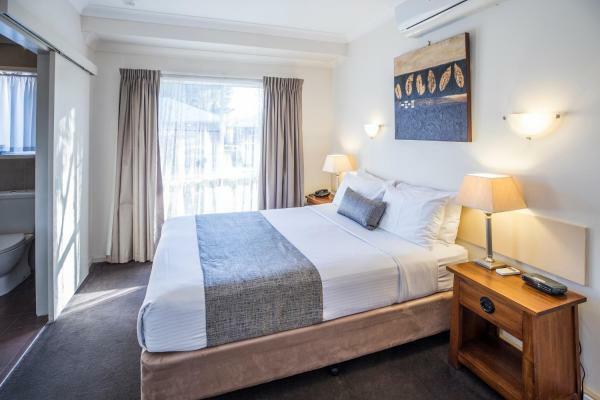 Motel 707 is only steps from Central Highlands Visitor Information Centre with the iconic Van Gough sunflower painting in Morton Park and only a 2-minute walk from the centre of Emerald. This hotel is 5.22 km from city center. 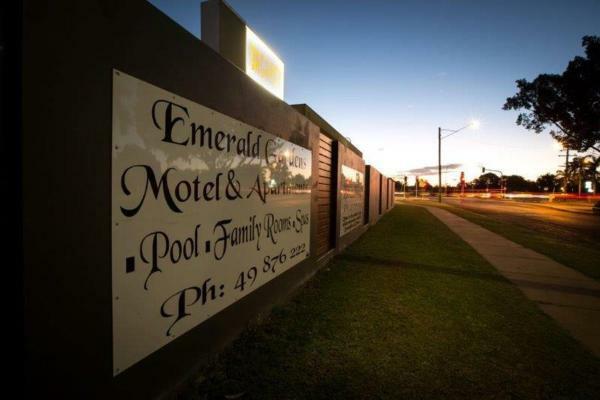 Offering free WiFi and a saltwater swimming pool, Comfort Inn Midlander Emerald is located in the heart of Emerald. 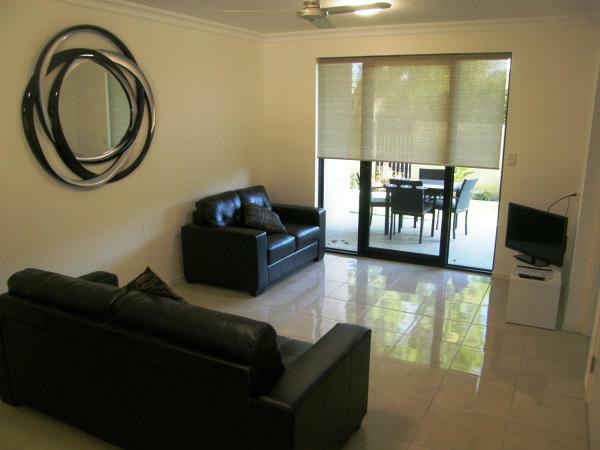 The property is just a 1-minute walk from the town's business centre, a variety shops, restaurants and cafes. This hotel is 5.42 km from city center. 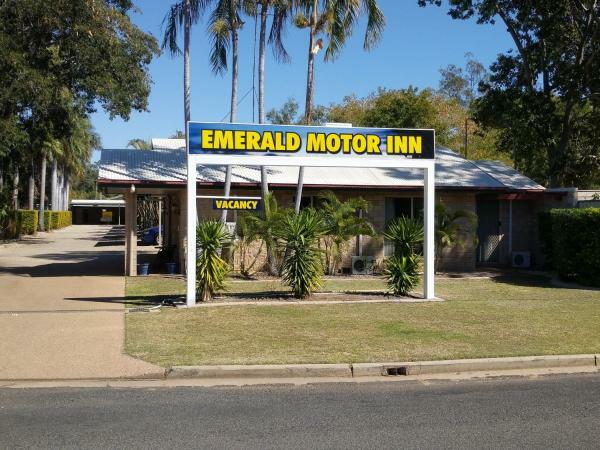 Located in Emerald, Western Gateway Motel provides a bar. Among the facilities of this property are a restaurant, a concierge service and room service, along with free WiFi. Every room includes a flat-screen TV with satellite channels. This hotel is 5.85 km from city center. Offering luxurious apartments with a spa bath and a fully equipped kitchen, Emerald Inn is just 5 minutes’ drive from shops and restaurants in Emerald’s town centre. All apartments include free WiFi and free covered parking. This hotel is 5.85 km from city center. 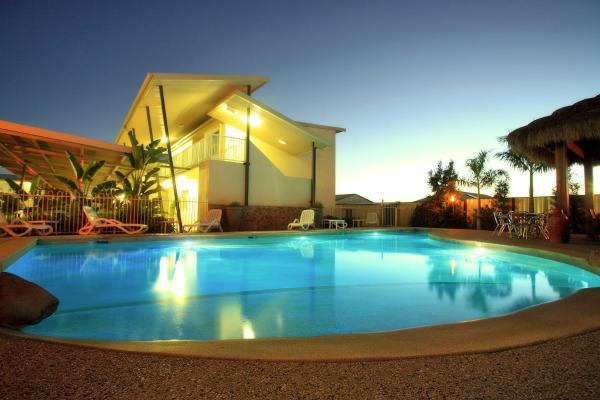 Positioned just off the Gregory Highway in the heart of Emerald, the 4-star Emerald Central Palms Motel features a guest courtyard and an outdoor swimming pool. Free WiFi and parking are available. This hotel is 6.00 km from city center. Located in the heart of Emerald, the 4-star Emerald Maraboon Motor Inn is a short walk from restaurants, cafés and shops. Guests enjoy a swimming pool, tropical gardens and free WiFi. This hotel is 6.05 km from city center. Offering an outdoor pool, Emerald Highlands Motel is located on a quiet side street. Free WiFi access is available. A tavern, shopping centre and fast food outlets are just steps away. This hotel is 6.15 km from city center. 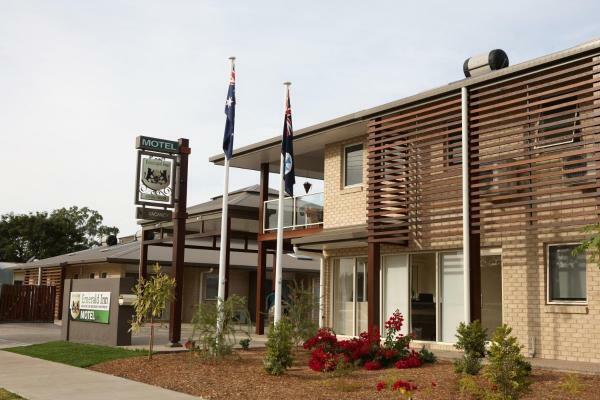 Boasting a spa bath and a private patio with garden views, Emerald Motel Apartments are just 500 metres from Emerald town centre. Emerald Hospital is located across the street. Private on-site parking is available. This hotel is 6.19 km from city center. 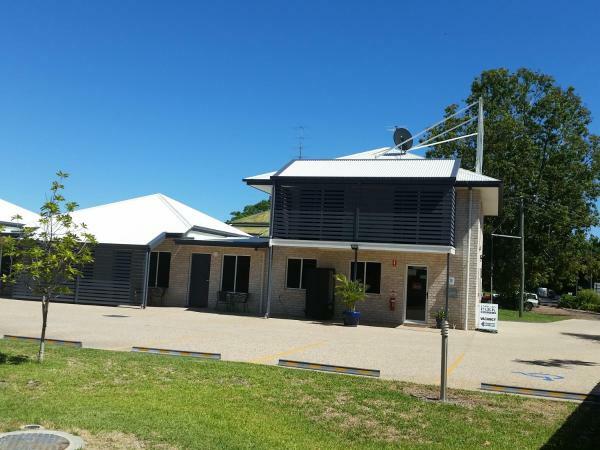 Boasting a swimming pool, a licensed restaurant and free on-site parking Emerald Gardens Motel & Apartments is just 5 minutes' walk from Emerald Hospital. Emerald Gardens Motel is 10 minutes' walk from shops, cafes and services. This hotel is 6.36 km from city center. 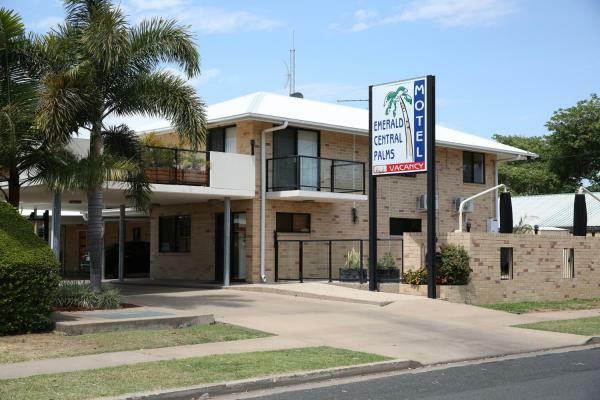 Located in Emerald, Emerald Tower Motor Inn features air-conditioned rooms with free WiFi. This 3-star motel offers a garden. All guest rooms in the motel are fitted with a kettle. All rooms are equipped with a private bathroom with a shower. This hotel is 6.48 km from city center. 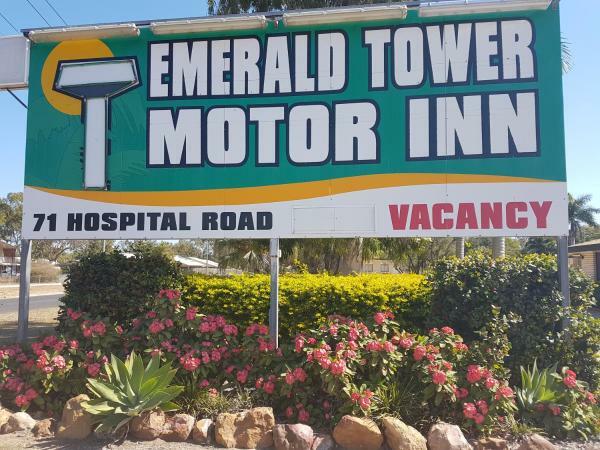 Offering accommodation with garden views and flat-screen satellite TV, The Overflow Motor Inn is a 2-minute walk from Emerald Hospital. Free parking is provided. 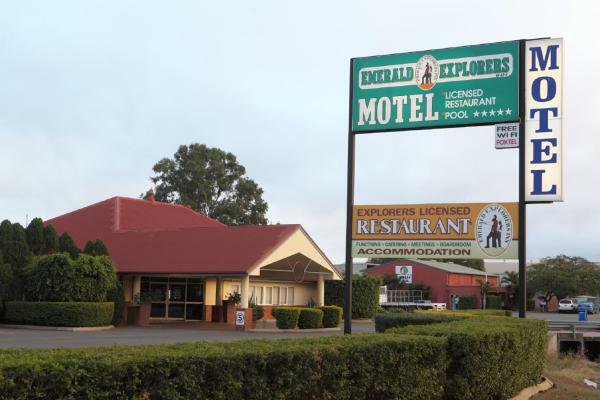 The Overflow Motor Inn Emerald is a 5-minute walk from Emerald Village Shopping Centre. This hotel is 6.59 km from city center.